Bang & Olufsen celebrates its 90th birthday in 2015, and to mark the occasion, the Danish audio and video design powerhouse has unveiled its 90th Anniversary Love Affair Collection. A collaboration between Peter Bang and Svend Olufsen formed in 1925, when radio technology was in its infancy, is today internationally renowned for its classic, cutting edge design and acoustic perfection. 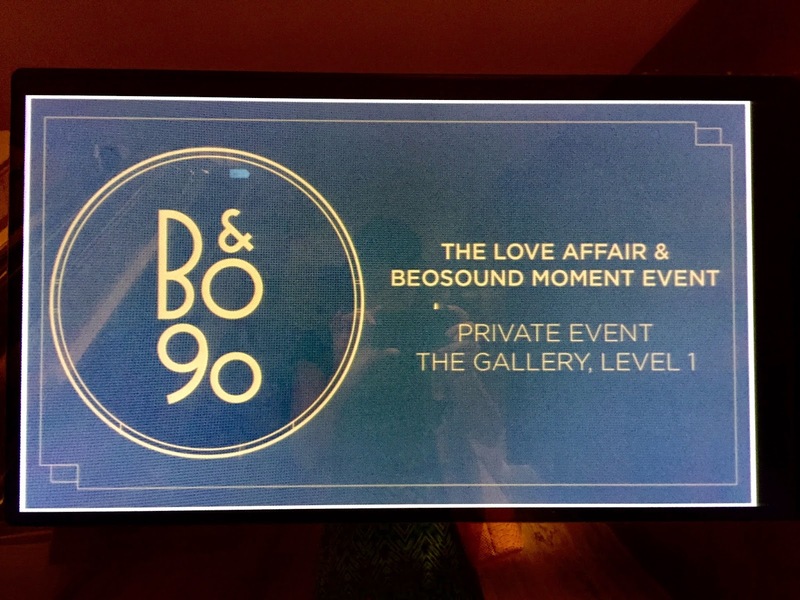 As I mentioned earlier, the hubby and I were recently invited to B&O's Singapore premiere of the Love Affair Collection and BeoSound Moment, which was held on 5 March 2015 at The Gallery, Grand Hyatt Singapore. The hubby has always been an avid collector and supporter of B&O, so this was a night we couldn't miss! 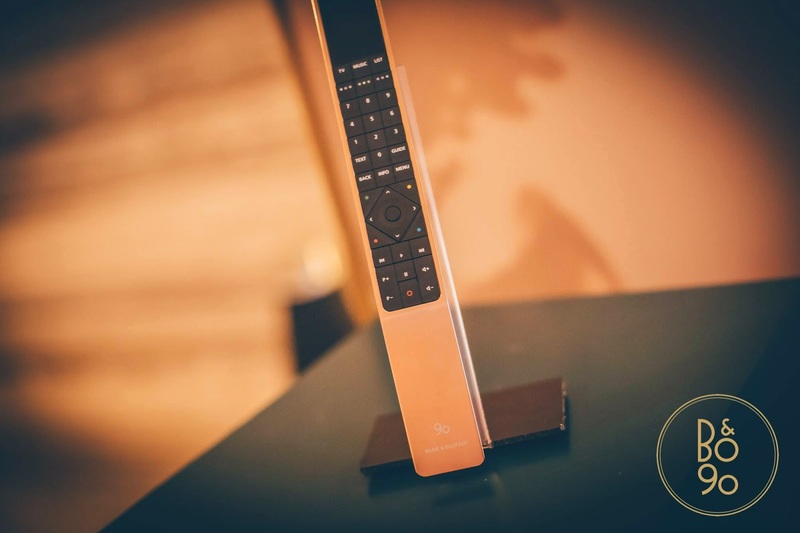 The Love Affair Collection showcases six of B&O's most popular products from its current line, all revamped in stunning rose gold and featuring the specially designed "B&O 90" logo: the BeoVision Avant LCD TV, the BeoVision 11 LCD TV, the BeoRemote One remote control, the BeoPlay A9 music system, the BeoLab 18 wireless speakers and the BeoPlay H6 over-ear headphones. We were informed that the rose gold Love Affair Collection would be produced in limited supply, and would only be available until the end of this year. In addition to commemorating B&O's 90 year heritage, the evening also marked the official launch of its new music system, the BeoSound Moment. The BeoSound Moment is beautifully designed music tablet, which features the world's first-ever touch-sensitive wood interface, with a click wheel that can be used for volume control. The metallic side of the device looks intuitively familiar, with a touch screen and another click wheel control. The device enables users to stream music on any local network (including your iTunes library) or any internet radio channel. To make listening to music easy, the BeoSound Moment also has a "mood music" option, where users can select their mood from a colour wheel. With a live string quartet providing ambient music and a generous savoury and sweet buffet spread, the launch of B&O's Love Affair Collection and BeoSound Moment was an elegant affair indeed. 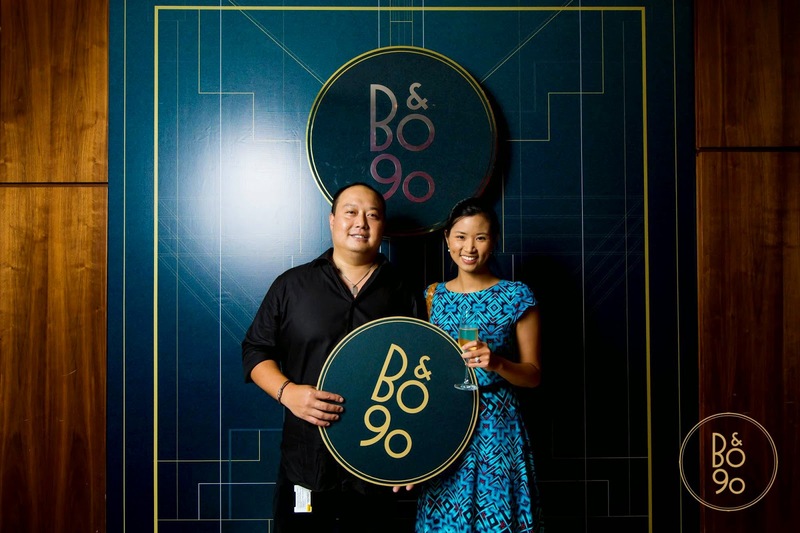 It was an especially nice touch that B&O had arranged for an Art Deco style photo booth for guests to take home a momento of the event. Special thanks to Michelle, Soren and Heath at B&O Singapore for the invitation. That sounds like a fun time in this event. I am so impressed to see all these event photographs. I also need to organize a company party and would love to use these company party ideas in my event. Thanks very much for your comments Finans360 and mark lawrence!